This past weekend, I completed my first GORUCK Light Challenge, where we carried a weighted backpack for 6.5 hours, rucked (a.k.a. walking with a weighted pack) for 7-10 miles, did PT (physical training), and had a lot of fun with our whole team. I think I packed alright for a first-timer, but I also learned a few things that I would do different. 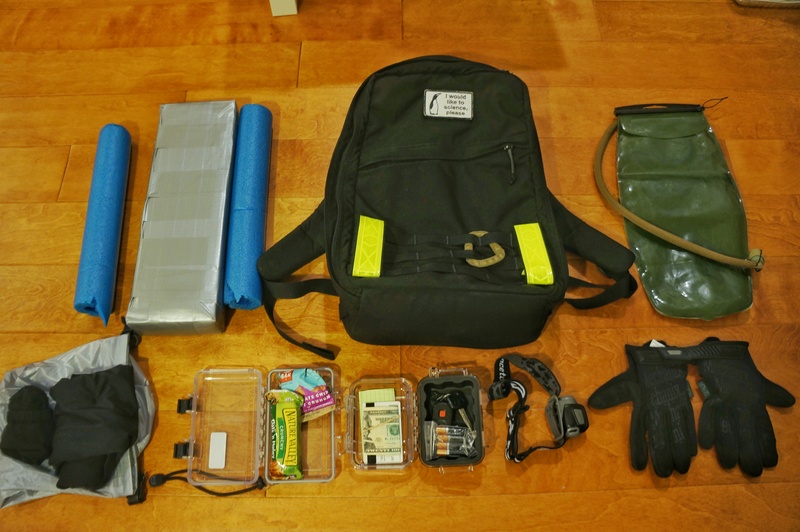 Here I’ll share my GORUCK Light packing list and setup, and what I would change next time. The following picture shows everything I brought to the challenge. How I pack turns out to work really well for the event. The two improvements I would do is to (1) pack another bladder, and (2) pack another pair of shoes (light weight is fine). This past Saturday, I got to participate in a combative vehicle and force-on-force simunition class hosted by the Consolidated Training Group (CTG), a DFW based training group in defensive carry utilizing both live-fire training and force-on-force scenarios using Simunition FX man-marking ammo. The day lasted from 9am-5pm, with a 50 minute lunch break. 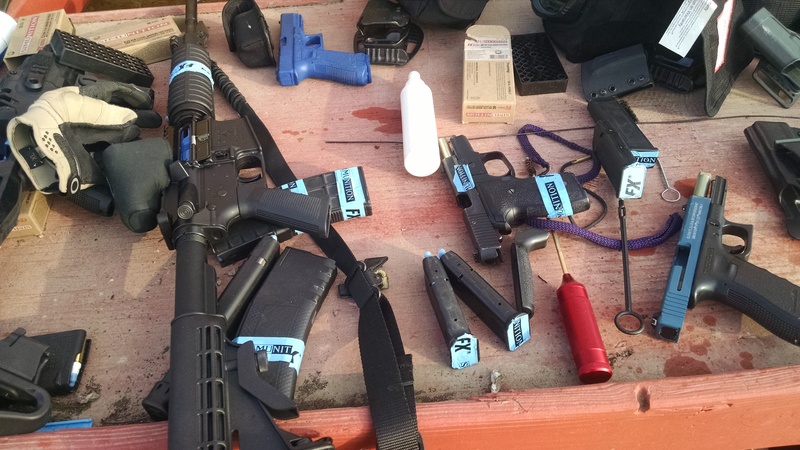 Live-fire in the morning and scenarios using fx rounds in the afternoon. Since it is a ‘vehicle’ class, both the live-fire in the morning and scenarios in the afternoon revolves around the use of firearm in AND around a vehicle (e.g., use of vehicle as cover/concealment). Note: This is my experience of the HSP D5 Handgun course as an individual who has only began shooting a handgun for ~3 months. If there is only one thing I could stress to those who are potentially interested in this course, it will be “don’t be intimidated”. Don’t be intimidated by your own lack of experience. Or, don’t be intimidated how much better the other students might be. I have only been shooting for 3 months by the time I attended the course. And at no point did the instructors or other students made it uncomfortable or intimidating for the less experienced in the class. If anything, everyone was ultra-encouraging and very willing to share their knowledge and experiences.